Discover Summon™ for your library. Embraced by more than 100 customers around the world, the Summon™ service enables a familiar web-searching experience of the full breadth of content found in library collections – from library catalogs and videos to e-journals at the article level. 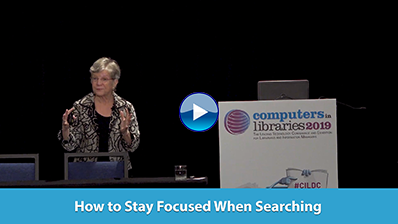 In just over a year, the Summon™ service has proven there is a better and faster way to find all relevant library content and bring researchers back to library content and resources. Last year, Silicon Valley came to Washington. Firms including Google and Adobe expanded their D.C. presence, and O'Reilly Media jumped on the Gov 2.0 bandwagon with a series of conferences. Next year, Wall Street comes to Washington. Bloomberg LP, the financial news powerhouse, is preparing to launch Bloomberg Government on Jan. 1, 2011. As with the recently launched Bloomberg Law, Bloomberg Government is a web-based subscription service that can be accessed from your own laptop, no proprietary Bloomberg terminal necessary. Also as with Bloomberg Law, Bloomberg Government charges a fixed monthly fee for unlimited usage. Subscriptions are $475 per month, adding up to $5,700 annually. Bloomberg is offering 45-day free trials prior to the launch date. IEEE, the world's largest technical professional association for the advancement of technology, announced the launch of the IEEE eLearning Library. The IEEE eLearning Library comprises nearly 200 short, online courses in core and emerging technologies. Each course was developed and peer-reviewed by subject experts and awards continuing education units (CEU) or professional development hours (PDH) upon successful completion. ISYS Search Software released ISYS Document Filters 2010, the new version of the company's solution for text extraction, printing, and high-definition viewing. Document Filters go deeper than the application layer that connectors support and actually pull through the text and metadata that drive analytics. Serials Solutions, a business unit of ProQuest LLC, has made significant enhancements to its family of 360 Services for discovery, enabling librarians worldwide to activate a variety of new patron-facing tools and localization capabilities. The enhancements—which include language selection features, new bibliographic citation management options, new sorting functions for Chinese and Korean languages, custom text options, and additional language support—enable librarians to enrich their library patrons' research experiences and provide them with additional avenues of resource discovery. There are a few technologies for which I'm particularly grateful as an online information professional: embedded links, faceted search, and dashboards. All of them are designed to make a researcher's life easier, getting to the right information faster and easier. None of these are new tools, but I want to reflect on the growing importance of dashboards as a user interface in the information management field today. A dashboard pulls information from diverse sources and presents it in an interface designed to be easy to read, similar to an automobile's dashboard. The key difference is that users can interact with the information. The interactive nature of a dashboard lets a user move quickly from a summary view to drill down to various levels of detail and usually in easy-to-comprehend visuals and graphics. And that is just what Attivio offers with its Active Dashboard but with another key difference. The system is indeed "active." You don't have to search for information—the system pushes it to you. And, as you click on a piece of information in a window, other windows on the dashboard are automatically updated.